Attach to a Silvan hero. Attached hero gets +1 and +1 . 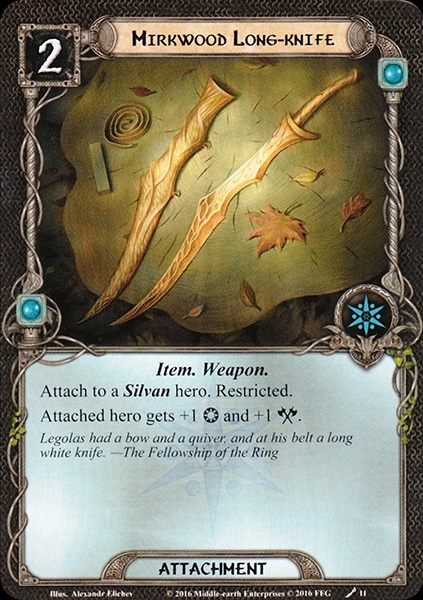 Legolas had a bow and a quiver, and at his belt a long white knife.